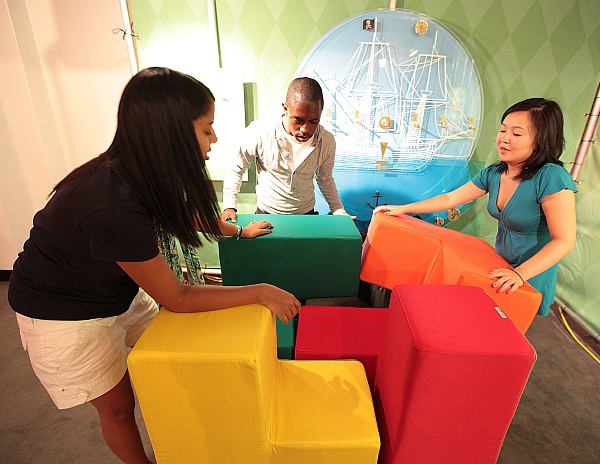 The seven-piece SOMA puzzle has been a classic since Piet Hein invented it in the 1930s. The Math Midway has a giant SOMA, one meter on each side, for visitors to play with. That one is stuffed with foam so you can climb on your creations. 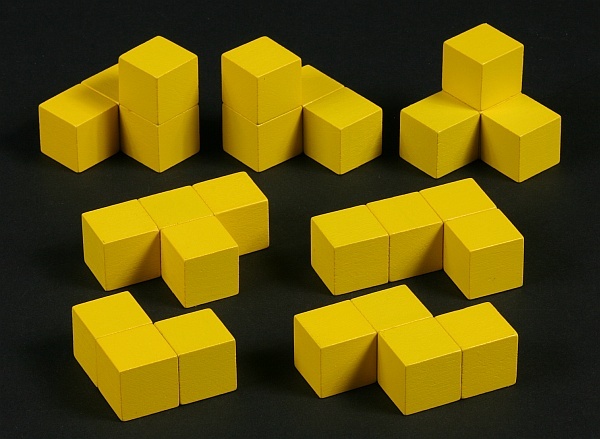 It is easy to glue together 27 wood cubes to make your own set. There are seven pieces to the puzzle—all the possible ways to have at most four blocks and at least one bend. Note that two of the pieces are mirror images. Once you make a set of pieces, you can challenge your spatial abilities by assembling them into many different constructions. Here are a just a few things you can make, each with the same seven pieces. 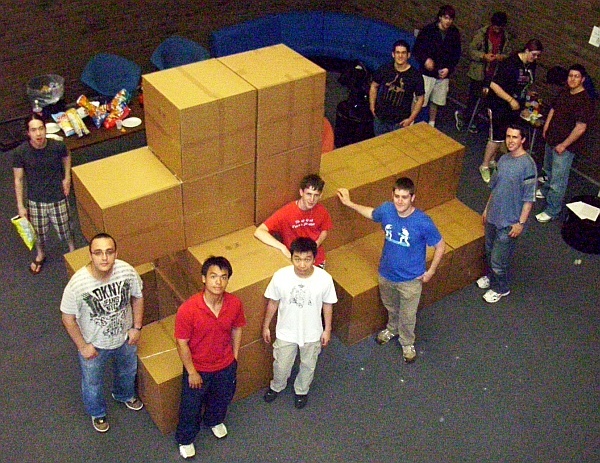 It is a fun group activity to make a much larger SOMA by assembling cardboard boxes. Instructions are online here. This article first appeared on Make: Online, December 28, 2009.